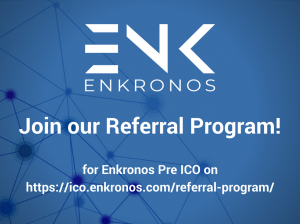 Ico Enkronos > news > Join Enkronos Pre ICO Referral Program! If you want to participate our Referral Program, you need to fill the form you find in the referral program page. After we receive it, we’ll send you your referral code. The advantage for users who register for our pre ICO whitelist with a referral code, is that they will be given an additional 2% bonus during tokensale (they will receive the additional bonus after the Soft Cap has been reached). 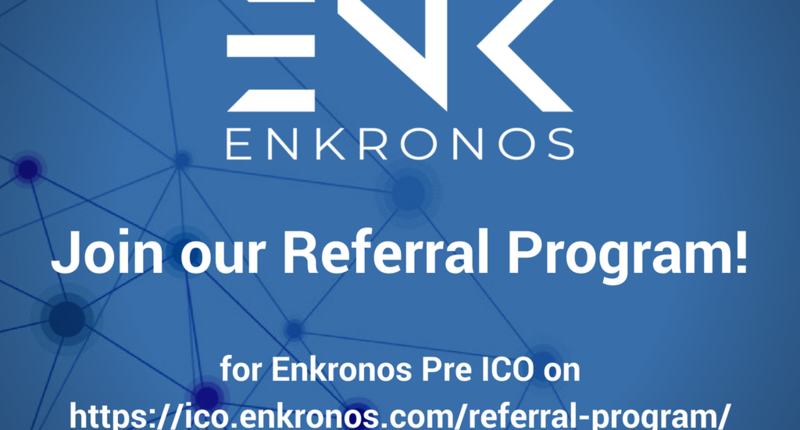 Join Enkronos Pre ICO Referral Program from https://ico.enkronos.com/referral-program/.